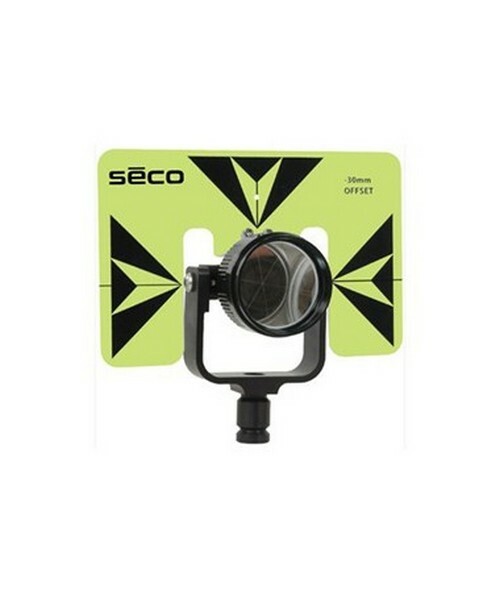 The SECO Rear Lock Silver Prism 6402-20 features a locking mechanism at the back that helps to easily adjust and secure the target tilt to desired angles. The 2 1/2 inch steel silver-coated prism is sealed in a heavy-duty canister to ensure that it is protected from dust and water. It is possible to mount the prism in either 0 or -30 millimeter offset settings. It comes with a large aluminum target which measures 6 x 9 inches. 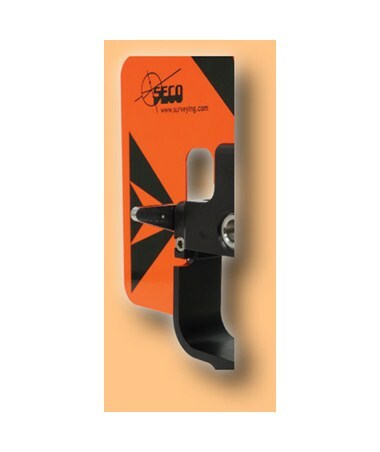 It is available in 3 color combinations of Fluorescent Yellow and Black, Fluorescent Orange and Black, or Yellow and Black. The prism assembly comes with a 1 Year Warranty. Target aluminum, 6 x 9 in.